Terminator is not the only robot you are likely to encounter in multiplexes in the future, with Belgian cinema advertiser Brightish being the first in the world to launch a cinema robot. Apparently it is much friendlier than the Terminator robot too. Belgian cinema’s advertising sales house, Brightfish, has unveiled at the Creativity World Forum the very first interactive cinema robot in the world. The robot has been baptized Steve – a nod to the actor Steve McQueen – and will promote cinema to the general public in an original way. Already via social media, he has shared his impressions of the cinema world with videos, tweets and photos, and it’s about to get even more exciting as you’ll be able to meet him in person in the cinema, his natural habitat. 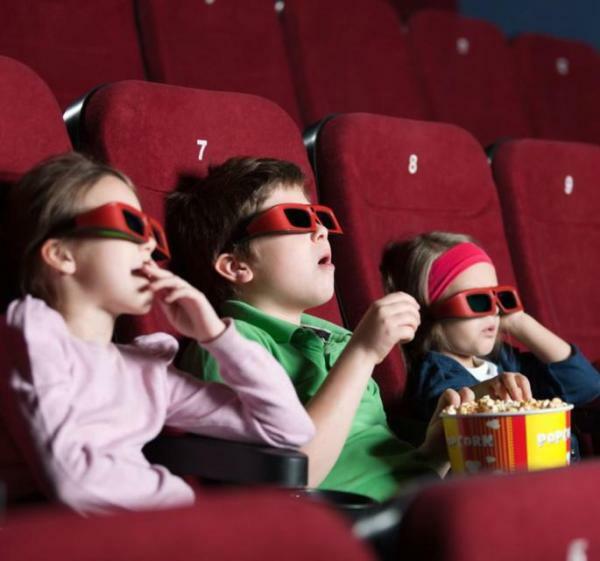 France – Could the screening of 3D films for children be curtailed, restricted or even banned in France? It is a country that does not hesitate to regulate when it comes to cinema. A French health watchdog recommended Thursday that children under six be denied access to 3D films, computers and video games, and that those up to 13 have “moderate” access. The advice is based on a “pioneering” analysis of scientific research into the possible impacts of 3D imaging on the developing eye, the agency ANSES [French Agency for Food, Environmental and Occupational Health & Safety] said. UK – Odeon’s new boss Paul Donovan arrives in the job with good experience – nothing to do with exhibition credentials but debt management. Talk about jumping from the frying pan into the deep fat fryer. In recent weeks, Standard & Poors said Odeon’s £400 million (€512 million) debt pile is “unsustainable” in the long run, and downgraded it to junk. 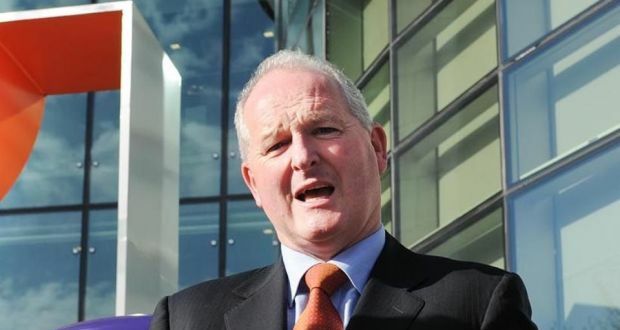 Donovan, a clever chap, must now overhaul the capital structure of Odeon, which operates about 10 cinemas in Ireland and 240 overall across Britain and continental Europe. After arm-wrestling with Eircom’s debts for so long, it must feel like a never-ending horror franchise for him. 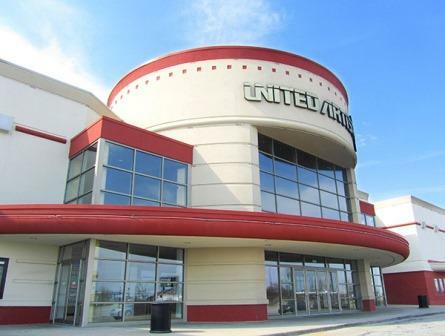 USA (OH) – Regal Cinemas Galaxy 14 multiplex in Indianapolis that has been undergoing a USD $2.5 million refurbishment for luxury seating and more has been sold by JLL. Rebecca Wells, an executive vice president in the Indianapolis office and managing director Michael Hochanadel in the Columbus, Ohio, office completed the sale on behalf of the seller, GPI Theatre Properties I. The buyer was One Liberty Properties, Inc. The price was not disclosed. 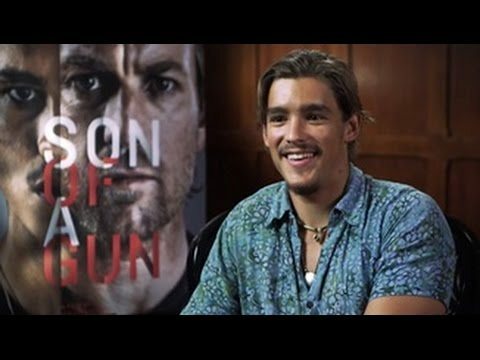 Would lower ticket prices encourage more people to see Australian films in cinemas? That question has been raised several times in the debate over the inability of local films to connect with moviegoers. The answer is a resounding yes, according to some respondents to the latest informal survey on social media. UK – No surprises here. I’ve started closing my eyes during trailers for films I want to see. Like “Interstellar”. A new study, based on responses to a 2013 trailer for The Hobbit: The Desolation Of Smaug, found that audiences want trailers which excite, tease and leave them emotionally engaged, without revealing excessive narrative. The research by the University of East Anglia’s (UEA) school of art, media and American studies, found that more than 80% of people were left disappointed with a film after seeing its trailer. USA (NY) – An event cinema milestone for North America this weekend. Thanks the star, James Franco, and catch it for just USD $20. 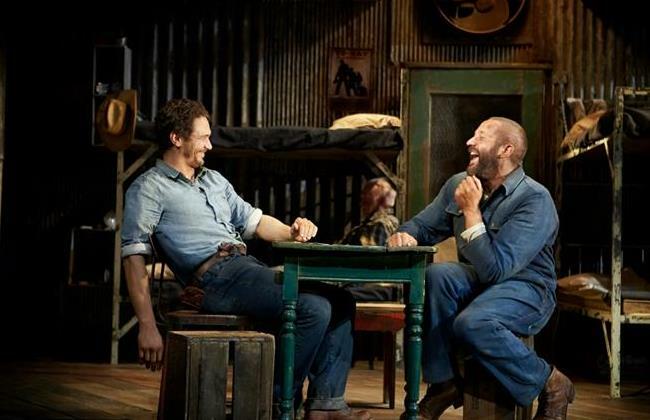 A high-definition broadcast of Franco starring on Broadway in John Steinbeck’s “Of Mice and Men” – the $3.8 million, record-earning show at the Longacre Theatre – will compete with the movies “Interstellar” and “Nightcrawler” at the box office, and it marks an important milestone. And here you can read how the show was taped. Don’t be misled by the title of a really big show lighting up the screen at Silver City this weekend. While Metamorphosis is also the title of Franz Kafka’s novella, you can be assured Saturday morning’s similarly titled experience will be anything but Kafka-esque. Vatican – given the hit that JPII Beatification in 3D was, this too will no doubt do well in cinemas. 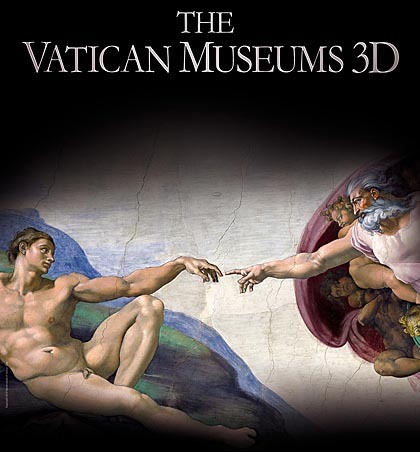 On November 18 2014 a simultaneous nationwide screening takes place of the first ever 3D film of the collection of the Vatican Museums. 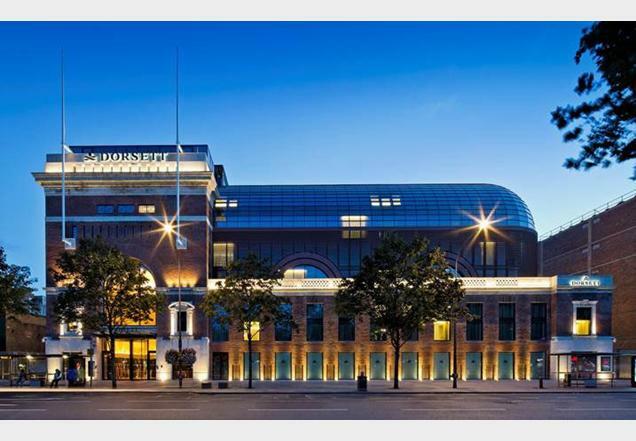 France – Event cinemas has tended to have a distinctly Anglo-Saxon flavour, despite the occasional ballet from Russia or opera from Italy. But France is Europe’s secret powerhouse of event cinema, with events like this one. 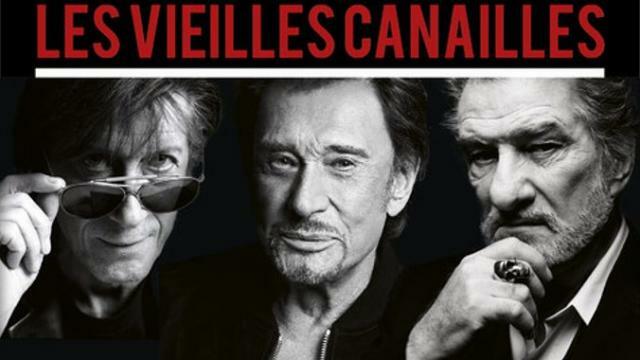 Gaumont and Pathé offer live coverage of the concert by Johnny Hallyday, Eddy Mitchell and Jacques Dutronc, Sunday, Nov. 9 to 20h. Retransmission of the historic concert of “Old Scoundrels”, live from the Palais Omnisports de Paris Bercy is Sunday, November 9th, at 20h, the Pathé cinema , Place des Jacobins. The spectators can follow the concert on the big screen of Jacques Dutronc, Johnny Hallyday and Eddy Mitchell. Italy – Mother and baby cinema takes of in Italy. It’s already popular in some parts of Europe and now the trend of cinema just for babies is gaining popularity in Italy as well. Women can breast-feed while watching the film, there are places for nappy changes and there’s no problem if babies cry or scream. 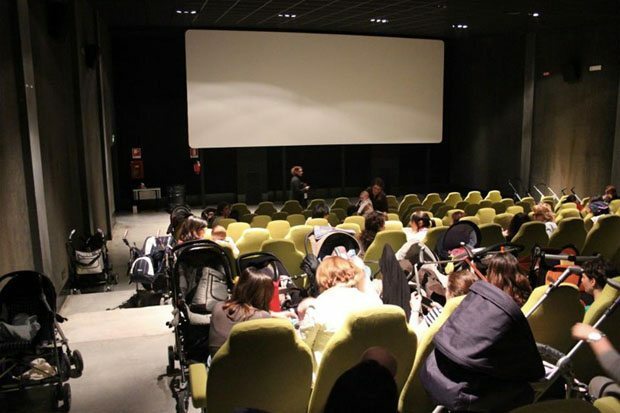 Starting in Rome, this project run by ‘Città delle mamme‘ aims to involve women during the months when the bond with their baby is very close, thus allowing them to make new friends, to share ideas with experts and at the same time, to enjoy a film without having to worry about the silence in the room. 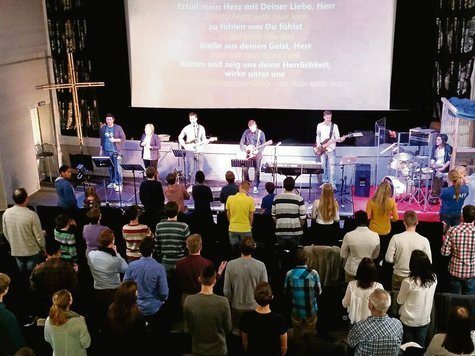 Germany – It is not just in the US and UK that disused cinemas get turned into churches and places of worship. Germany too it seems. On December 11, 1924, the UT-cinema was opened. The name, however, since UT is a good year history – there is recently a new one. The indicates that the spaces in the Rhine road are at least partially reused as Lichtspielhaus: IJG-culture cinema. India – An innovative advertising campaign for Coca Cola Zero comes to India. I’ve seen the Singaporean one it is good, but this one is even better by using a famous Bollywood star (Farhan Akhtar) in disguise. Just like the drink. The campaign has been conceptualised by Coca-Cola’s in-house agency and produced by ESP Films. The film is a video representation of an activation done in a multiplex where Coca-Cola wanted to tell its consumers that Coca-Cola Zero has the same great taste. So the company planned this small surprise for some consumers in a multiplex in Mumbai. UK – Joe Evea has left UK cinema advertiser DCM and joined app partner Yummi Media as Chief Commercial Officer. Yummi Media Group have appointed Joe Evea as their chief commercial officer. Evea joins from Digital Cinema Media (Dcm), and will be responsible for Yummi’s commercial strategy and the global optimisation of the company’s technology platform (phonix) through its mobile application products. 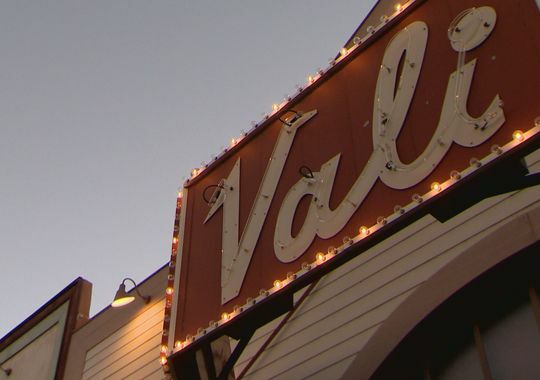 USA (CO) – Rather than closing this small cinema in Colorado for lack of funds to convert to digital, the owner donated it to the city. Now the community has to come up with a way to raise the USD $100,000 funds needed for a digital conversion. The bill hovered around $100,000. Kelloff struggled with the decision but ultimately came up with a unique idea. He decided to give his cinema away to the community of Monte Vista for free. “It’s yours. This is your town. You know you can go to Alamosa, Durango, Pueblo, Denver, but those aren’t yours. This is yours. This is your town. Your theater,” Kelloff said. Germany – Did you see “Interstellar” on 35mm or 70mm analogue film? If you are in Germany, then there was just one cinema to catch it in 70mm, but it also happens to be the best cinema in Berlin, if not all of Germany: Berlin Zoo Palast. Meanwhile, most of the German cinemas are completely switched to digital projection. These cinemas including the Berlin Zoo palace for the oncoming this week blockbuster but Interstellar does something very special: How to Re-opened in 2013, traditional cinema Golem especially for the Christopher Nolan – reactivated film on a very old projector, which makes it possible to show the science fiction work on analog 70mm on a giant screen. New Zealand – My suggestion is that they donate at least part of the money to another cinema in New Zealand that desperately needs to go digital. With $20,000 in the kitty the Geraldine Community Cinema Trust has to decide where the money goes now it is no longer needed for the digital conversion. 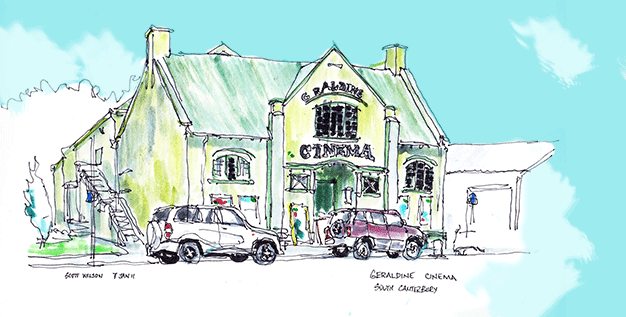 The Geraldine Community Cinema Trust was set up to raise money for digital projectors which it planned to rent back to the cinema. USA (MA) – Gambling is coming to Massachusetts, and with the casino a luxury cinema. 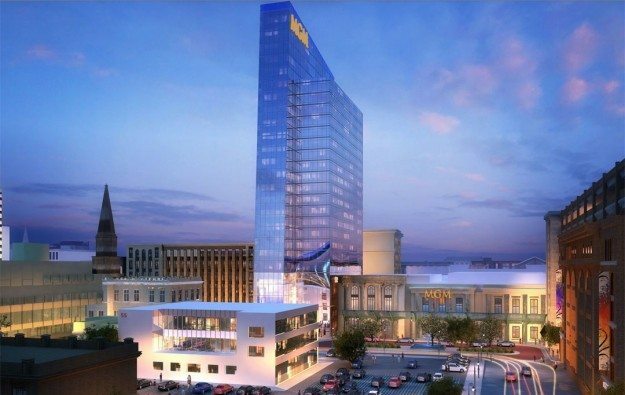 MGM Springfield (pictured in an artist’s rendering), an US$800-million investment, will feature 125,000 square feet (11,613 square metres) of gaming space with 3,000 slot machines, 75 gaming tables, a poker room and a high-limit VIP gambling area. It will also house a 25-story 250-room hotel and about 55,000 square feet of retail and restaurant space. 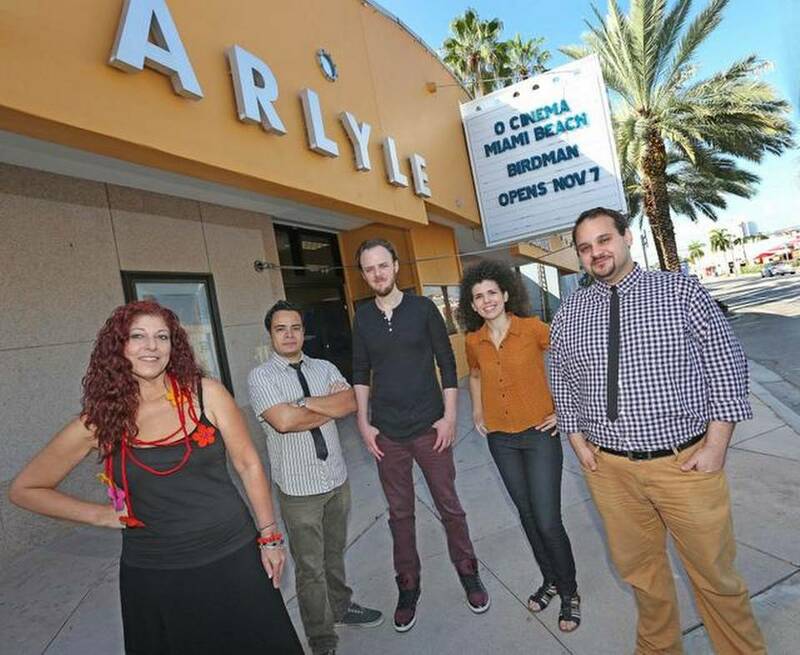 USA (FL) – Great to see driven people follow up on their dream to run a cinema. Third one in this case. Tabsch was sure his life would be better in film than in medicine or law. His business partner Vivian Marthell, a visual artist who prefers Darren Aronofsky and David Cronenberg films, perfectly complements Tabsch. Together they’ve opened two locations of O Cinema in Wynwood and in Miami Shores. 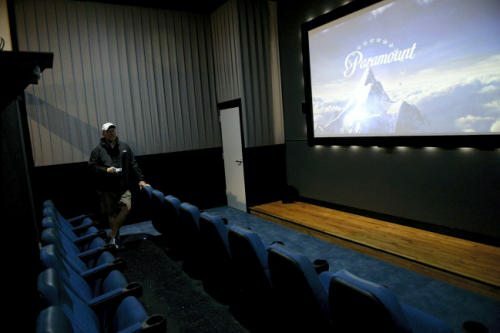 USA (PA) – The outlook is good for this cinema in Londonderry, Pennsylvania. The anticipation has been building at the Flagship Cinemas complex in the North Londonderry Square shopping center since signs went up several weeks ago. Numerous people have stopped by to ask when the complex will open, said Flagship Cinemas vice president Paul Wenger. USA (CA) – Frank Theatres is out and Carmike is in. There’s been a slight change of plans for the new movie theater that will be coming to the Holly Springs Towne Center retail center in Holly Springs. Frank Theatres has bowed out of its commitment to open a new entertainment complex in Holly Springs in 2015 as part of the second phase of development at Holly Springs Towne Center. 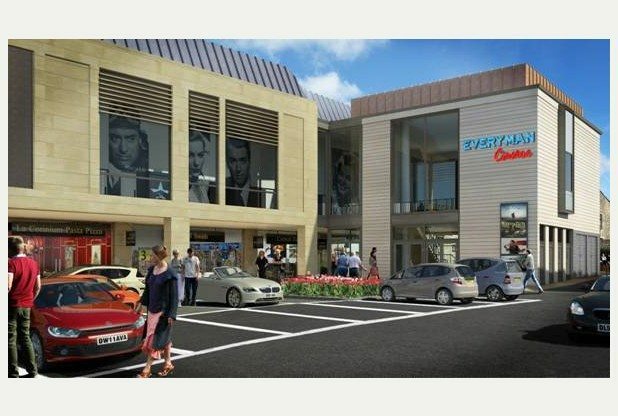 UK – Everyman Cinemas is looking to extend its presence outside of London with this development. 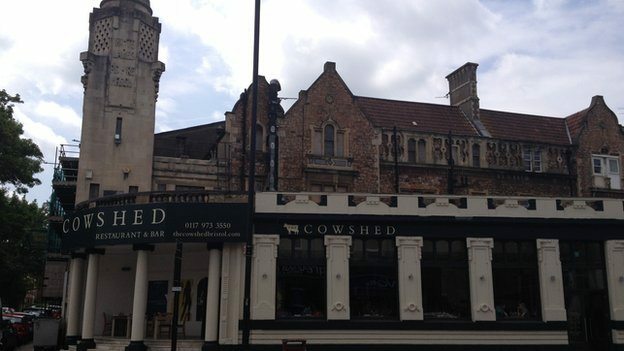 One of the UK’s independent cinema groups is hoping to bring the magic of the movies to Cirencester, if the Cotswold District Council gives plans to redevelop Brewery Court the go-ahead next week. UK – It looks like there is finally go-ahead for the Whiteladies Rd Picturehouse Cinema. Revised plans to redevelop and reopen a derelict Bristol cinema have been given the go-ahead by city councillors. On Wednesday, planners backed proposals to convert the Whiteladies Picture House into a new three-screen cinema, run by the Everyman group. UK – The future of the Scala has been secured. At least for now. Threatened closure on hold as talks take place. 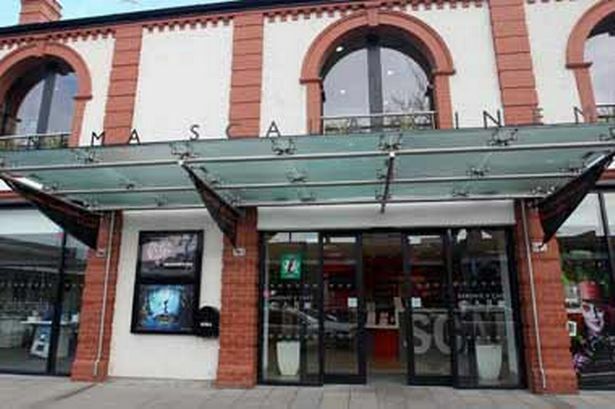 THE Prestatyn Scala Cinema and Arts Centre will remain open in the short-term following a make or break meeting of Trustees. Rhiannon Hughes, chair of the Scala Trust, said the site was open and “looking forward to its sci-fi weekend” after a meeting was held on Monday. UK – Perhaps no surprise that most people would like to see a cinema in their town. 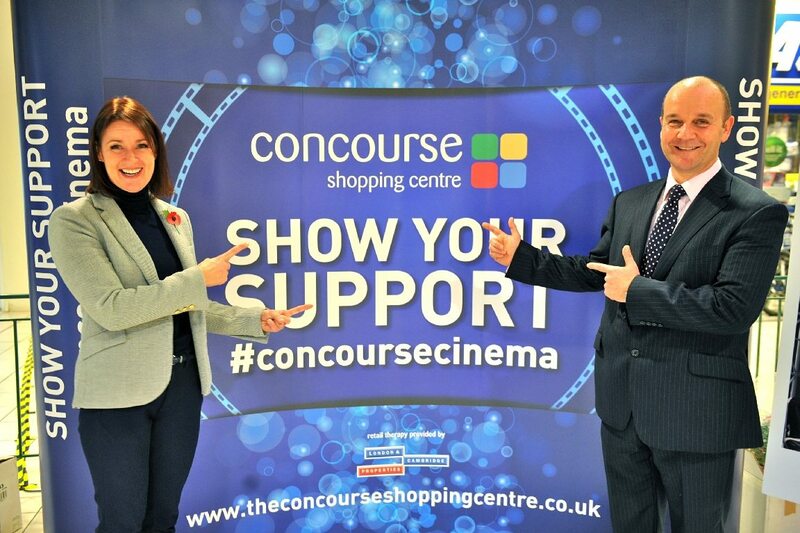 CONCOURSE bosses have said that people in Skelmersdale have overwhelmingly expressed their support for a planned £4m leisure scheme at the town’s shopping centre. A two-day consultation at the centre saw more than 200 local shoppers and business people going aong to view the plans, which include the town’s first multiplex digital cinema and new restaurants. UK – Great to see this former cinema re-born and its award-winning facade saved. A grade II-listed former cinema facing Shepherd’s Bush Green has been restored by Flanagan Lawrence and converted into a hotel and spa. The art deco building was designed by Frank Verity and won a RIBA award for best London facade when it opened in 1923. Germany – The Scala cinema has now closed in this town in northern Bavaria, but a cinema is opening once again after 12 years in this green building. In the end it was still relatively fast. Even on the last day of the traditional Scala cinema , on August 31, ie, the operators Heidi and Gerhard Wellein had indicated that they are looking for a new venue. Germany – Also in northern Bavaria, the work has started on this multiplex in Furth, after several delays and false starts that have not impressed the town hall. Will this time be different? “Basically,” says Horst Müller with all due caution, he always had confidence in investors. But in this case, “there is just this history.. . “He added meaningfully. As reported, the city has therefore now not only the binding construction fixed notarized, but incorporated a second hedge: If there are any unforeseen problems, both parties can still get to the end of 2014 from the contract. No one talks openly of the – but the city is expected to thus prepare for the event that the financing of the project, millions, as once in the course of this year, again starts to wobble. UK – Want to see what the demolition of the much reviled Ritz Cinema in Tunbridge Wells looks like? Click on the video above. Time-lapse film condenses 10 months’ work in to a few stunning minutes. This film of the demolition of the old Ritz Cinema in Tunbridge Wells gets off to a slow start, a bit like some French art-house movie. Imax home cinema is so last Chinese lunar year. Next year it is all about having your own Imax screen on a luxury super yacht. Yacht designer Ken Freivokh and Yacht Intelligence, a company that provides custom audio-visual systems to new-build superyachts, are currently collaborating on the design of an IMAX cinema which would be placed in the hull of a 150m vessel.